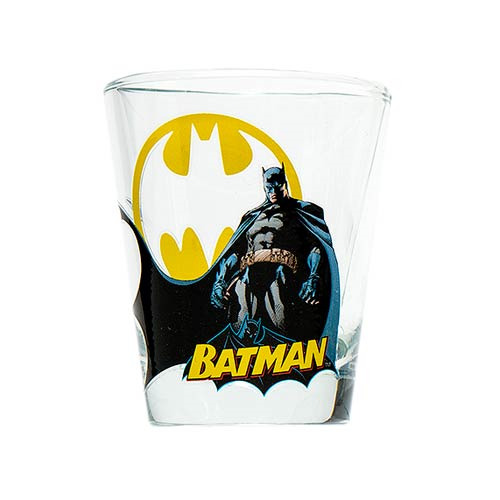 DC Comics' Caped Crusader is now on a shot glass! This beautiful, heavy-duty Batman DC Comics Shot Glass features Batman and the Bat-Signal! PopFun's expanding line of mini glasses features large images, brilliant colors, and more of your favorite comic and cartoon characters than any other line of glassware. Measures about 2 1/2-inches tall and holds up to 1 ounce of liquid. Hand wash only. Not dishwasher safe. Do not microwave. Ages 14 and up.